If you are looking to update Android Oreo for Zenfone Selfie Android phone, then here I have list of Android 8.1 Oreo ROMs and a step-by-step guide on how to install Android Oreo on Zenfone Selfie. 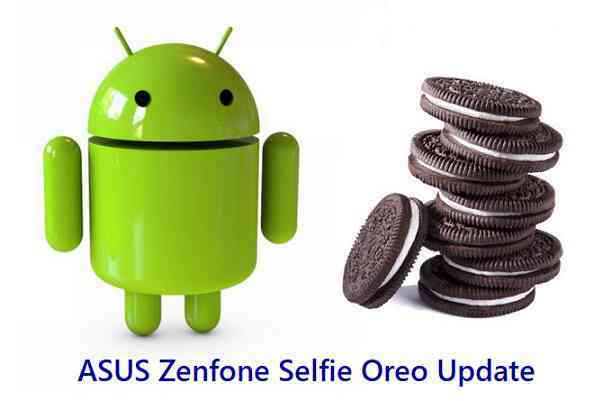 The Zenfone Selfie (codename: z00T) was last updated to Android Lollipop, officially. Almost all Android phone manufacturers provide 2 years of official update and some manufacturers like Xiaomi do support for a longer term for their Android devices but the official updates do come very late. It’s the custom ROM builds that keep the devices alive by providing latest Android updates there after. This is the primary reason I have brought you here, how to update Zenfone Selfie to Android Oreo 8.1 custom ROM. Root binary is NOT inbuilt in any custom ROM. So you may need install a SuperSu ROOT package. – SuperSU rooting guide to enable ROOT access. Download the TWRP recovery for Zenfone Selfie from the downloads list. Install TWRP Recovery on Zenfone Selfie using fastboot. Enter into TWRP recovery mode and Wipe data partition, Cache partition, System partition and clean Dalvik cache. – Don’t wipe or format Internal memory here. If you do, you will lose all your phone data. – To be on safe side, backup all data on your Android Phone before wiping anything. Then, download one of the Android Oreo ROMs available for Zenfone Selfie and copy the Oreo ROM file to your phone using TWRP MTP mode or sideload. – Each link provided in this guide has their own step-by-step installation guide. Install the Oreo ROM using TWRP recovery. – Well, this step is an optional but if you don’t do you will not be able to install any applications on your Oreo ROM. – The GApps package provides basic Google Play Services, Play Store application and other Google Applications. Reboot your phone and enjoy Android Oreo on Zenfone Selfie. Optionally, if you want ROOT on the Oreo ROM, then restart yuor phone into TWRP recovery mode and install SuperSU to enable ROOT. – This step is not necessary to run Android Oreo smoothly but if you want ROOT on the Oreo ROM then you need to follow this step. If you are facing any issue while following this guide, then you can comment here or you can create a topic on the Zenfone Selfie Forum or on the respective Oreo Custom ROM topics.